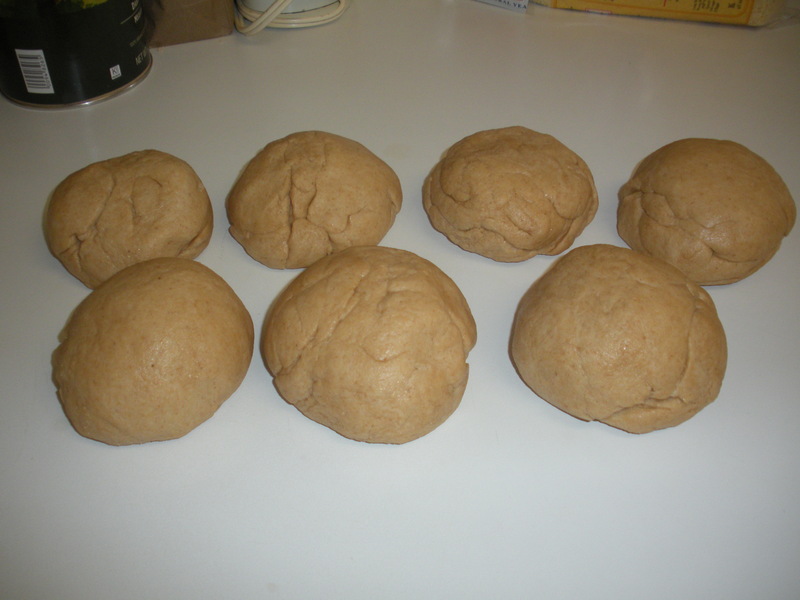 Last week in my New Year’s post, I stated that one of my goals for 2012 is to bake a new type of bread each month. This goal is inspired by my Christmas gift of The Bread Baker’s Apprentice: Mastering the Art of Extraordinary Bread. I look at this book as an intermediate course in bread baking, half background on the art & science of bread-baking, half detailed recipes and fancy techniques. 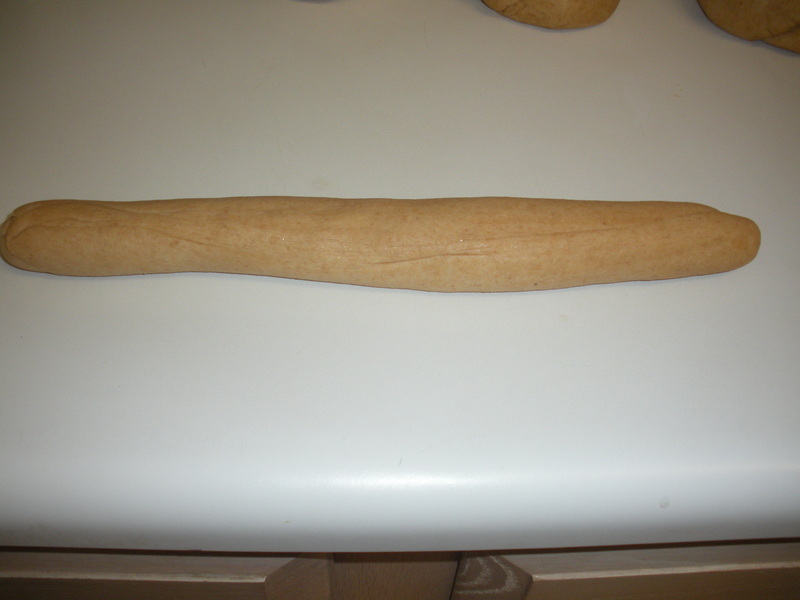 I’ve already mastered basic bread, so why not try something a little more challenging? 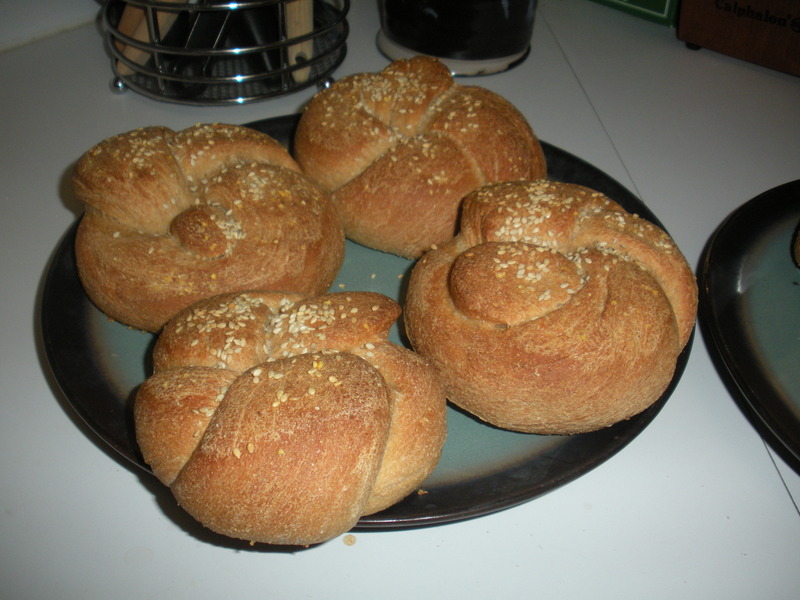 First up in the bread of the month club: Kaiser Rolls (aka Vienna rolls & New York hard rolls). I’m already learning a lot from The Bread Baker’s Apprentice. 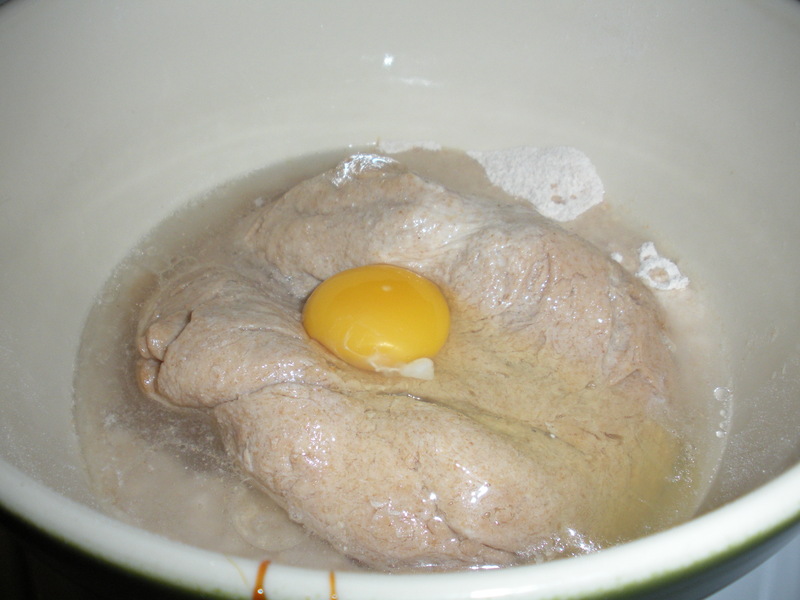 For example, pre-fermented dough (or pâte fermentée) made the day beforehand increases the taste of your finished product. 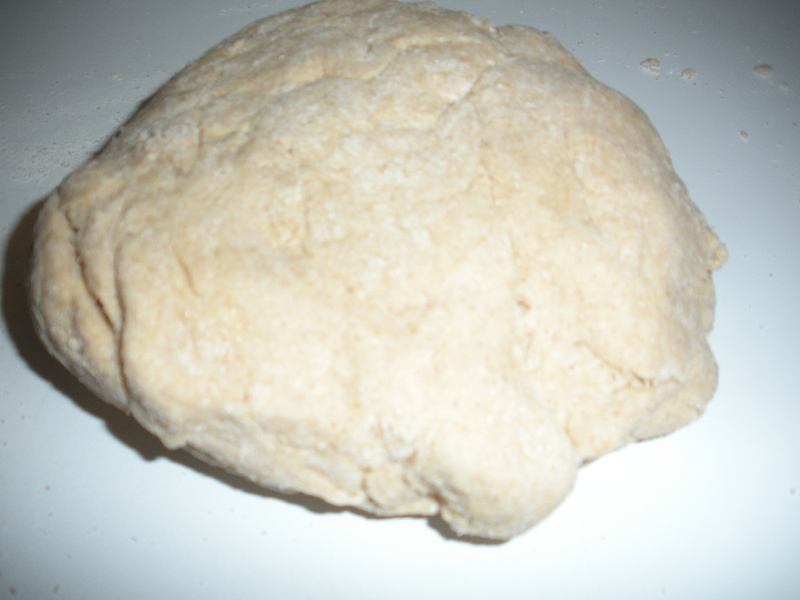 Pre-fermented dough is (nearly) half the recipe’s mixture of yeast, salt, flour and water — allowed to sit on the counter for about an hour, in the fridge overnight and again on the counter for another hour in the morning. 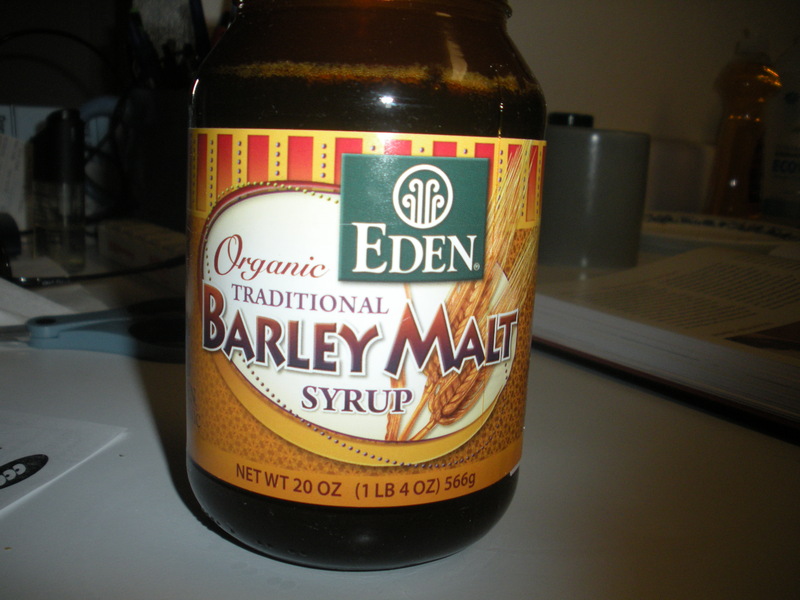 I learned about a completely new ingredient in certain types of bread: barley malt syrup. One could also opt for barley malt powder, but unfortunately they did not carry it in Whole Foods. Barley malt syrup has a similar consistency to molasses, so it was a bit messy to measure out and mix. One of the things I love the most about homemade bread is it’s lack of ingredients. There’s no ammonium, aluminum, maltodextrin, high fructose corn syrup, or other artificial sweeteners or preservatives like in many brands of store-bought bread. 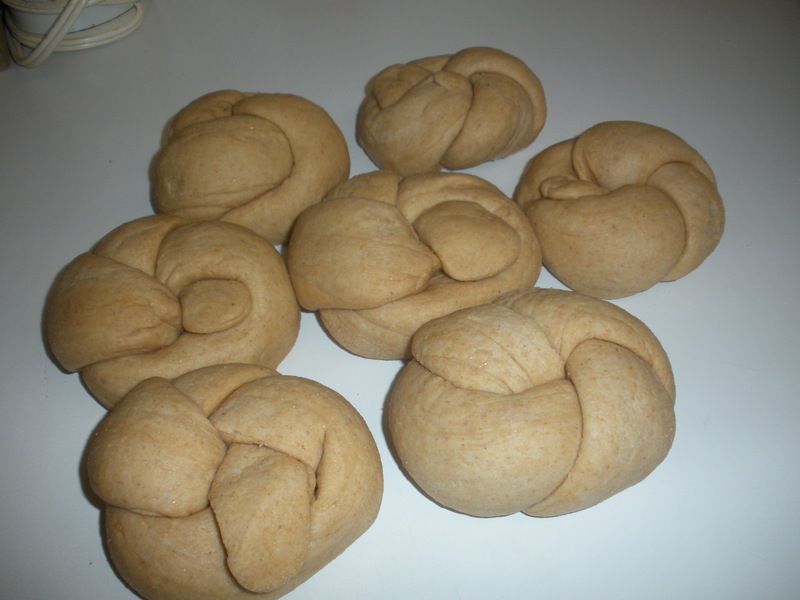 In Kaiser rolls, it’s just flour, yeast, water, salt, oil, an egg and the beloved barley malt syrup. 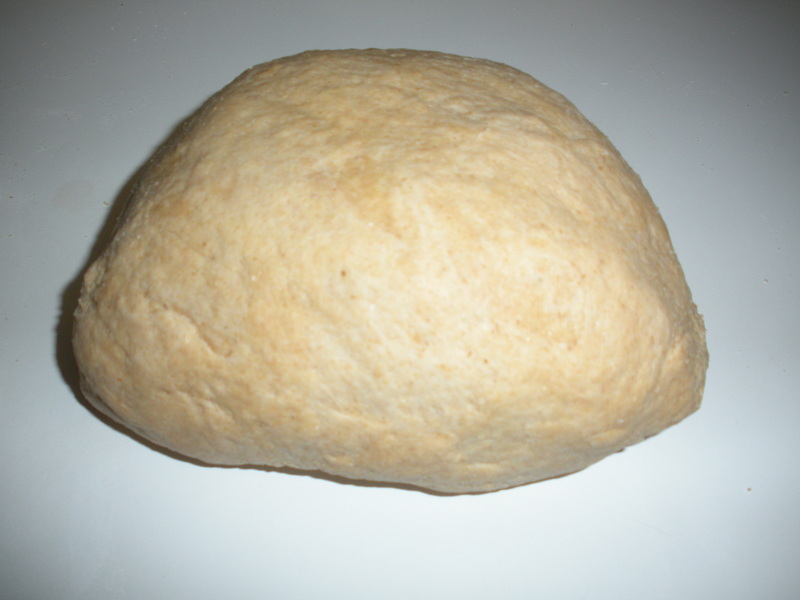 …later to be rolled out and shaped into the kaiser roll’s signature shape (and this was the hardest part). And then my husband reminded me my 6 hours of work could all be destroyed with a single karate chop. 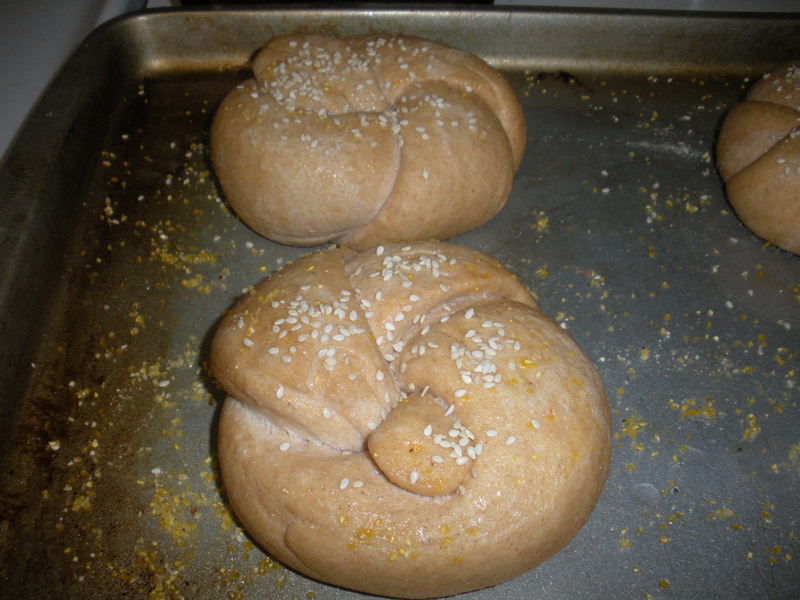 I patiently waited another 90 minutes to allow the rolls to proof on both sides before decorating with sesame seeds. 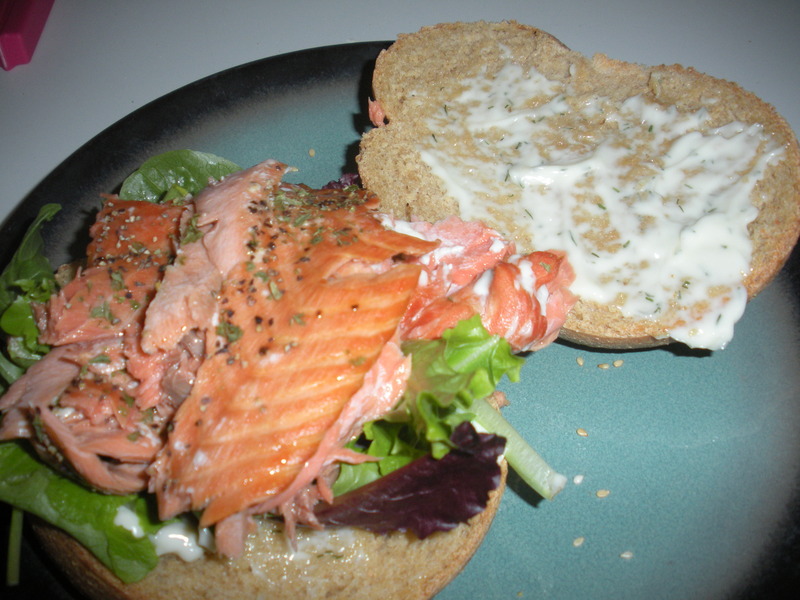 Perfect for lunch with a little dill mayonnaise, baked salmon and spring green mix. Up next in February: Light Wheat Bread. 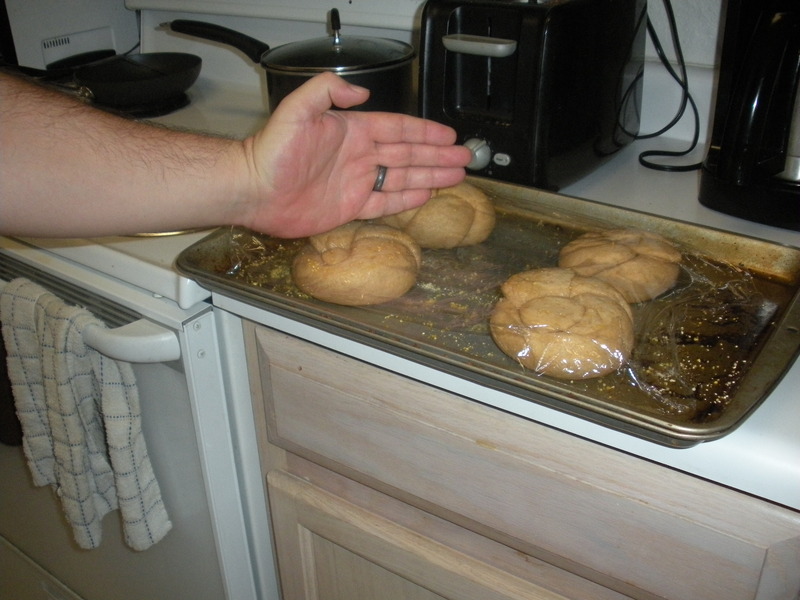 This entry was posted in DIY, Healthy Living, The Simple Living Experiment and tagged bread, bread baking, DIY, sandwiches, simple living. Bookmark the permalink. This is extremely fancy. I’m impressed!